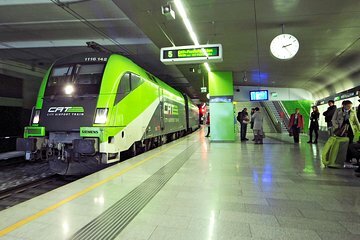 A fast and efficient service to Vienna! Fast and Furious and with WIFI is added advantage . Train was on time. Not the fastest or most comfortable first class travel but good value for money. Grab a large coffee from McDonalds before you board! Excellent fast and comfortable connection to city. Good to prebook and have no worries getting tickets on arrival although there were plenty of ticket machines around. Highly recommended.